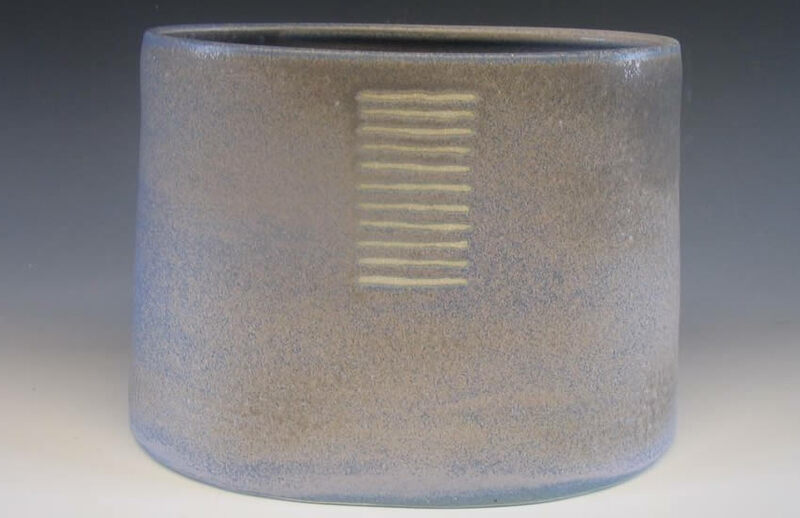 My work is exclusively decorated stoneware and was arrived at after initially exploring in the early years of my involvement, the possibilities of various clays, working methods and decorative effects. It is all vessel based and essentially functional. It is mostly thrown on a potter’s wheel, which is an aspect of my work that l constantly enjoy, but l occasionally use altered or assembled forms and sometimes employ slab hand-building techniques on some vessels. I use a white stoneware clay from Dobles in Cornwall, which is mixed with a smooth white Earthstone stoneware. This gives me the soft consistency of clay l prefer. I use a gas kiln with a slight reduction firing to a temperature of 1240C.